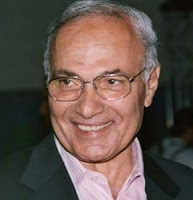 Unchecked blunders by the Muslim Brotherhood could crown Ahmed Shafiq as Egypt’s head of state, according to Egyptian media star and talk show host Imad Adeeb. Shafiq, ousted president Hosni Mubarak’s last prime minister, faces Muslim Brotherhood candidate Mohamed Mursi, the other finalist in the June 16-17 presidential runoff vote. Two days ago, persons unknown attacked Shafiq’s campaign HQ in the Dokki area of Giza, where they tore campaign flyers and leaflets and smashed computers. The attack spurred a public outcry, chiefly among Shafiq’s followers. Egyptian citizens are yearning for stability based on law and order and better living conditions. Far from slogans, electoral platforms and electioneering rhetoric, most Egyptians long for a strong, willing and able head of state to run a country in turmoil. The more the Muslim Brotherhood resorts to parliament and its partisans to shut out Gen. Shafiq, the stronger his political backing. Seeking to “exclude or isolate” competitors provokes Egyptian voters. “Fear of the Muslim Brotherhood becoming heavy-handed” amplifies their defiance and obstinacy. Tariq Alhomayed, Asharq Alawsat’s editor-in-chief, tells Egyptian voters their choice in about a fortnight is not so much between Mursi and Shafiq as between a religious or civil state. -- Iraq, where elections are held from time to time but the final word invariably stays with Grand Ayatollah Ali al-Sistani.